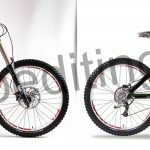 Reflection Shadows is another key technique used in clipping path services. Reflection shadows simulate the original reflections produced by a mirror or glass. 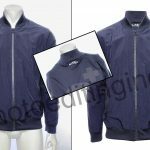 Also known as the mirror effect it is a major process undertaken in e-commerce clipping path service. It tends to produce the results in a graphical manner and provides an illusion of shadow and three-dimensional depth to the object. Unlike normal ones, the use of clipping path with reflection shadows will lend the image a truly appealing look. As a result, the images can quickly grab the attention of anyone. In the e-commerce industry, where product images are displayed, the use of reflection shadows is of paramount importance. In addition to the e-commerce sector, reflection shadows are highly utilized in product photography, print and web advertising, design companies etc. Applying reflection shadows in product images will offer it a certain depth and clear look, which is the most important feature of this service that makes it presentable to viewers. Advanced image editing software is used for preparing reflection shadows in an image. After the image is subjected to the clipping path process, it is then applied with the necessary reflection shadows. The key elements of the images are identified before adding the reflection shadows. Product images are selectively highlighted and an inverted reflection of the product is applied underneath the surface that it rests. This creates a true mirror version of the object by placing it on an axis. 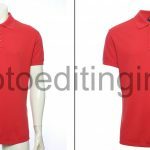 Outsourcing clipping path with reflection shadows to a professional image editing service is highly preferred. 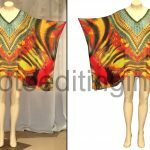 Many of the editing companies offer a wide range of clipping path services that cater specifically to the e-commerce sector. The importance of reflection shadows in a product image is highlighted by the fact that it will drastically enhance the appeal of the image. It creates an illusion of connectedness with the reflected image that offers a level of depth &clarity to the image. This is one of the major prerequisites for making an image ready to be deployed across e-commerce platforms. 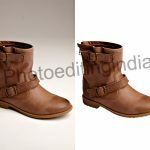 We at Photo Editing India offer a host of clipping path with reflection shadows services. It is focused specifically towards e-commerce and will aid in enhancing your image making it presentable to the web. Our team of professionals is well versed in reflection shadows and other clipping path techniques. Combined with the latest software and hardware we guarantee the delivery of ready to use images for the clients within the prescribed schedule.